arthouse, articles, cool stuff, cult movie, drama, DVD, entertainment, films, history, movie clips, movies, nesw & Gossip, news, news & Gossip, PEOPLE, POSTS, previews, romance, trailers, Uncategorized, updates, WTF?! 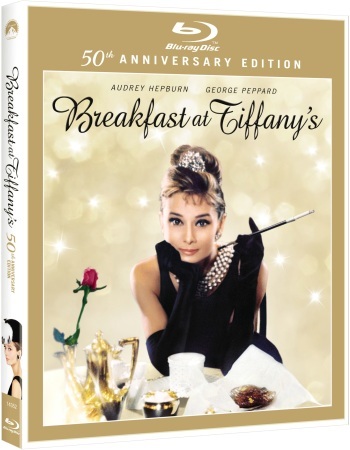 Celebrate in Style The 50th Anniversary Of BREAKFAST AT TIFFANY’S On Blu-Ray In September! PARAMOUNT HOME ENTERTAINMENT CELEBRATES THE 50TH ANNIVERSARY OF ONE OF THE MOST BELOVED CLASSICS IN FILM HISTORY WITH A SPARKLING BLU-RAY RELEASE. Fully Restored and Remastered, Iconic Film Debuts on Blu-ray on 12th September in the UK and 20th September in the US. Including Over 90 Minutes of Bonus Features on the Making of the Movie, Audrey Hepburn’s Timeless Style, the Music of Henry Mancini and Much More. 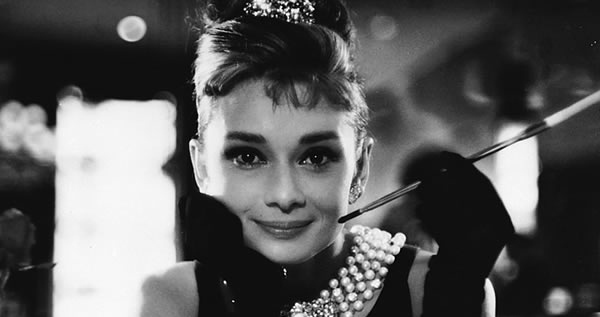 The exquisite Audrey Hepburn stars as the free-spirited Holly Golightly in the unforgettable masterpiece BREAKFAST AT TIFFANY’S, celebrating its 50th anniversary this year and debuting on Blu-ray September 20, 2011 from Paramount Home Entertainment. Based on Truman Capote’s best-selling novella, BREAKFAST AT TIFFANY’S captured the imagination of audiences everywhere and made an indelible impact on movies, fashion and society at large. In director Blake Edwards’ timeless classic, Hepburn’s intoxicating New York party girl embarks on a wildly entertaining, comedic adventure to find love in the big city. George Peppard is the struggling and “sponsored” young writer who finds himself swept into Holly’s dizzying, delightfully unstructured lifestyle as she determinedly scours Manhattan for a suitable millionaire to marry. The film also stars Patricia Neal, Buddy Ebsen, Martin Balsam and Mickey Rooney and earned Oscars® for Best Song (“Moon River”) and Best Score. The BREAKFAST AT TIFFANY’S Blu-ray is presented in 1080p high definition with English 5.1 DTS-HD Master Audio, Restored English Mono Dolby Digital, French Mono Dolby Digital, Spanish Mono Dolby Digital and Portuguese Mono Dolby Digital with English, English SDH, French, Spanish and Portuguese subtitles.